Mirrors are used in so many ways. 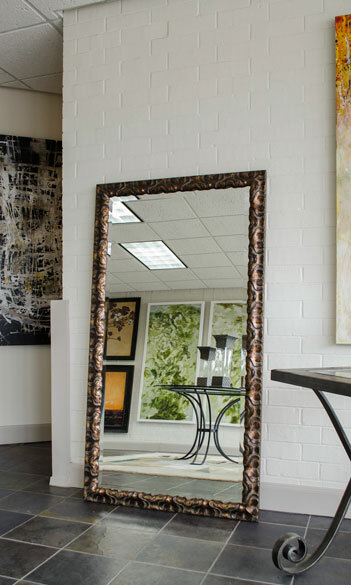 In interior design, these are widely used to achieve the illusion of more space and make the room look brighter. But did you ever wonder how mirrors are made? In its simplest form, a reflective coating is applied to a suitable material, the most common of which is glass because it is transparent and can take a smooth finish. It is also easy to deposit any coating to glass. The reflective coating is applied at the back part of the glass, keeping the reflecting side of the coating protected against any scratches and any other form of damage. 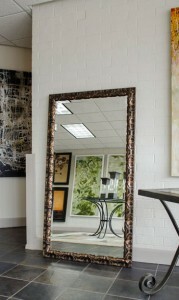 Mirrors have been created since the ancient times and were used primarily by the ruling class. The demand has been high since at that time, society dictates what people should look like depending on their status, and they needed mirrors so they could see their appearance. Silver used to be the most popular material for making mirrors, leading to the term “silvering” which refers to the process of manufacturing mirrors nowadays. However, these mirrors got dark lines behind the glass because of a thin and uneven finish. These were also prone to getting tarnished. Before 1940, mercury was widely used as a reflective coating in mirrors since it spreads evenly and does not tarnish. This resulted to an almost perfect, clear reflection. Over the years, the material used as coating changed, mainly because mercury, a toxic substance, posed an issue when it comes to sealing it in. Nowadays, glass mirrors are created using mainly silver or aluminum. Substances such as silicon oxide and silicon nitride are applied in scientific grade mirrors. Also called dielectric coatings, these materials are used as reflectors or protective finishes on metallic coatings. The manufacturing process begins with cutting and shaping the glass. The glass blanks are then placed in optical grinding machines that have an abrasive liquid and grinding plate for an even, smooth finish. After that, the chosen reflective material is applied on an apparatus called evaporator. In this stage, it heats the metal coating until it evaporates onto the surface of the glass blanks. This step creates a very reflective surface. Dielectric coatings are then applied. After properly applying all the coatings, the finished product is handled carefully for shipping. There are different methods to check the quality of the mirrors. The surface is examined to ensure that there are no scratches and that it looks even. This method can be done using a microscope or an apparatus that determines metal thickness. Laser is likewise used for quality control. It does not damage the mirror surface, unlike a mechanical stylus used before – it is run along the surface and tends to damage it during the process. Other types of mirrors call for specific methods to check quality. For instance, bathroom mirrors are examined if these are water-resistant enough. Car mirrors, on the other hand, are exposed to extreme temperatures to check if these can tolerate extreme weather.